The Hotel Bellefontaine, Bayeux (Where we Stayed). The Boats that Brought Over the Boys. This was the first house in France to be liberated during the last hour of 5th June 1944 by men of the Oxfordshire and Buckinghamshire Light Infantry in the British 6th Airborn Division Under the Command of Major R. John Howard. Shortly after my mom flew home, my dad and I decided to do a little father-daughter trip up to Normandy and the Loire Valley. We had a great time! It was awesome to spend some good old fashion QT with dear old dad. We left early in the morning and managed to make it to Normandy by the late after noon, it was about a 7 hour drive, long I know. But it was nothing in comparison to driving to Geneva. We decided to stay in Bayeux which seemed pretty central and within range of all the major sites. You definitely need a car if you go to Normandy, as we were quite surprised at how spread out everything actually was, its a huge area to say the least. Nevertheless, we did our best to see and cover as much ground as we could. 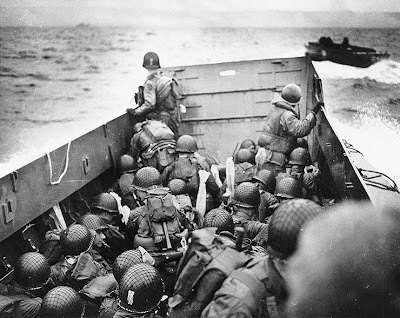 Despite the best efforts of Steven Spielberg, it's all but impossible now to picture the scene at dawn on D-Day, June 6, 1944, when Allied troops landed along the Norman coast. Today, the long sandy beaches backed by gentle dunes are quiet and peacful, so it makes it hard to imagine the horrific carnage of June 6, 1944, and yet this foothold in Europe was won at the cost of 100,000 soldiers' lives. Walking along these beaches was an incredibly humbling and powerful experience. The ensuing Battle of Normandy killed thousands of civilians and reduced hundreds of towns and villages to rubble but, within a week of its eventual conclusion, Paris was liberated. The beaches are still often referred to by their wartime code names: from east to west – Utah, Omaha, Gold, Juno and Sword. Substantial traces of the fighting are rare, as most remnants are found in the many museums – we made it to three of them. The most remarkable remains that we saw were at Pointe du Hoc, just to the east of Omaha beach, the cliff heights are still deeply pitted with German bunkers and shell holes. Apparently the remains of the astounding Mulberry Harbour at Arromanches and the church at Ste-Mere-Eglise are quite something, unfortunately we just ran out of time and weren't able to see them. 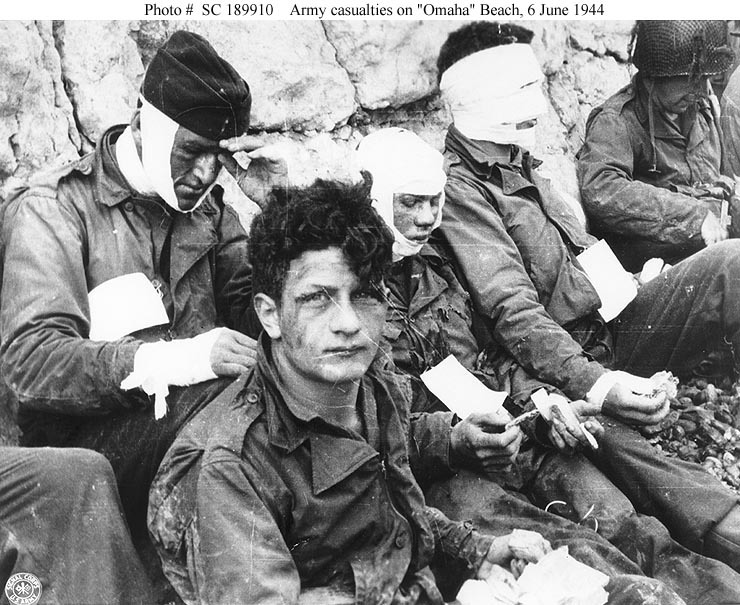 If there is one place where the Allied landings nearly failed, it is, of course, Omaha Beach. Beacuse of its topography the site was easy to defend. The Germans had covered the area with guns, machine-gun nests, mortars, minefields and barbed wire. By the evening of D-Day, the operation which had begun so badly had ultimately been a success, although a very heavy price had been paid. 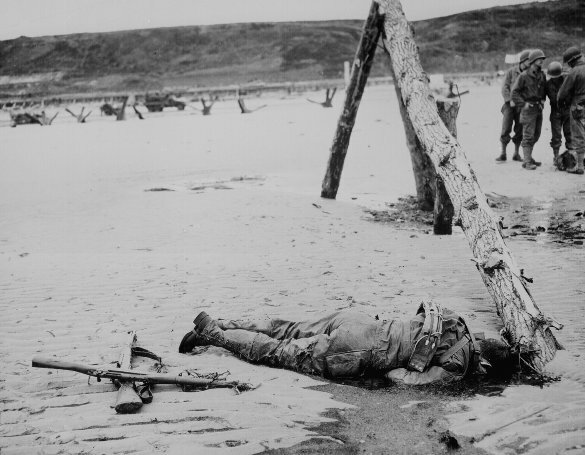 The losses totalled more than 3,000 men (fifteen times more than on Utah Beach). 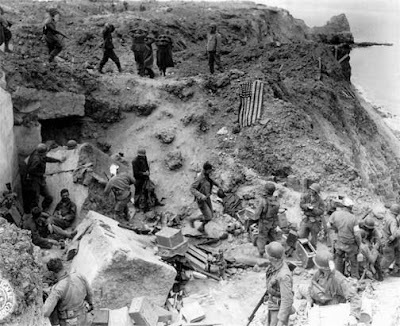 For the invasion, 300 US Army Rangers were handpicked to attempt a castle-style assault of the German occupied cliffs, using grappling hooks and ladders borrowed from London firedepartments. Only 90 Rangers survived the vertical assault. This was the German's most heavily fortified position along the coast. German bunkers and bomb craters remain just as they were found. Juno was also known as Canadian Beach because it was Canadian forces, the 3rd Canadian Infantry, who were assigned this beach. The Germans were dug in well here with 14 heavy batteries and plenty of machine gun nests and pillboxes and other concrete fortifications for the landing forces to contend with, which can still be seen today. The first wave suffered 50% casualties, but the beach was taken in a matter of hours and by noon the bulk of the 3rd Division was ashore. By the end of the day 15,000 Canadian troops were landed. The Juno Beach Centre commemorating the events that took place here, is the maple leaf shaped building just back of the dunes. In the early morning hours of June 6, 1944, a small detachment of British airborn troops, the men of D Company, 2nd Oxfordshire and Buckinghamshire Light Infantry (part of the 6th British Airborne Division) stormed the German defense forces and paved the way for the Allied invasion of Europe. Pegasus Bridge was the first engagement of D-Day, the turning point of World War II. 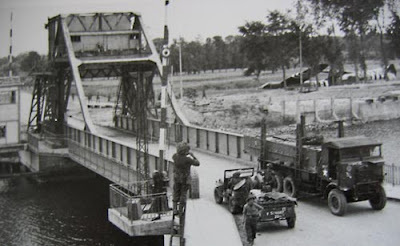 The control of Pegasus Bridge gave the Allies the opportunity to disrupt the Germans ability to bring in re-enforcements to the Normandy beaches, especially those that the British and Canadians were landing at – Gold, Juno and Sword.